The deftness with which Pansy Ho handles responsibilities and various projects is admirable. 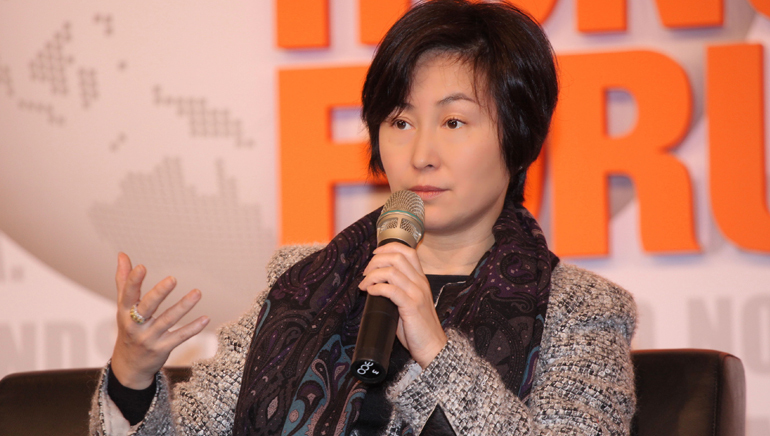 She is the co-chair of MGM China and Managing Director of property-and-transport outfit Shun Tak. Ho has successfully got herself included in the list of Hong Kong’s richest women when the casino outfit went public in Hong Kong a few years ago. MGM’s property, the MGM Macau casino, is a five-star integrated casino and luxury hotel resort located on prime waterfront property. The daughter of Macau casino magnate, Stanley Ho, she succeeded in becoming the Chairman of Jetstar too after Qantas Group and China Eastern Airlines sold their one-third stake in the budget airline to her family’s conglomerate, Shun Tak Holdings. Ho studied marketing and business at Santa Clara University in California and also had a brief stint as an actor in TV in Hong Kong before opening her own PR firm. The lady has a winning streak and has paved her way to success through persistence and hard work. It is no surprise that one of the 17 children of gaming marvel, Stanely Ho, is amassing wealth at such a commendable pace. After all, she learnt the art of multitasking and managing projects right in her school, the Catholic Secondary School, Hong Kong, where she was encouraged to participate in ECAs. In the process, she developed a competitive streak and was driven by the desire to win, which she exhibits in her business decisions now.